It’s the first of the month and that means it is time to select a new Book of the Month! My Book of the Month Club subscription is one of the things that brings me the most joy every month. Not only is it a great deal (around $15 a month for a brand new hardcover novel!) but it also introduces me to new books and helps me build my TBR pile even higher. Wait, maybe that’s not a good thing. 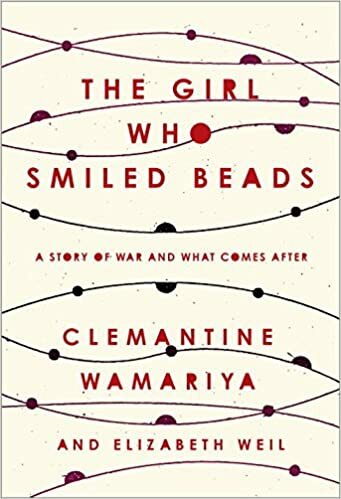 Any way, I’ve decided to start spotlighting the Book of the Month Club monthly selections on my blog because I think they are always interesting books and I love to hear what other subscribers pick! Here are the five books selected by Book of the Month for April 2018. 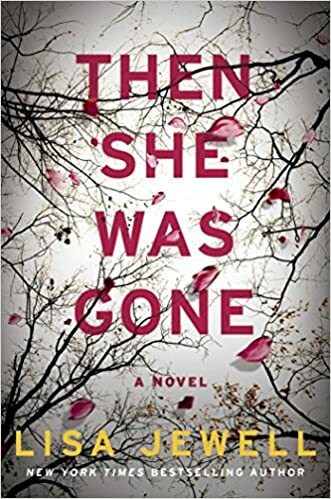 I selected Our Kind of Cruelty as my pick this month, but I already have a copy of Then She Was Gone and will definitely be reading that too! You can join book of the month club HERE and get a free book when you sign up using my link! This is a love story. Mike’s love story. Mike Hayes fought his way out of a brutal childhood and into a quiet, if lonely, life before he met Verity Metcalf. V taught him about love, and in return, Mike has dedicated his life to making her happy. He’s found the perfect home, the perfect job; he’s sculpted himself into the physical ideal V has always wanted. He knows they’ll be blissfully happy together. It doesn’t matter that she hasn’t been returning his e-mails or phone calls. It doesn’t matter that she says she’s marrying Angus. It’s all just part of the secret game they used to play. If Mike watches V closely, he’ll see the signs. 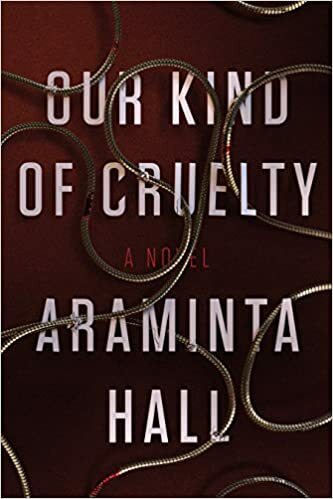 If he keeps track of her every move, he’ll know just when to come to her rescue . . .A spellbinding, darkly twisted novel about desire and obsession, and the complicated lines between truth and perception, Our Kind of Cruelty introduces Araminta Hall, a chilling new voice in psychological suspense. Knowledge is power. So when an unassuming Manhattan bassist named Will Dando awakens from a dream one morning with 108 predictions about the future in his head, he rapidly finds himself the most powerful man in the world. 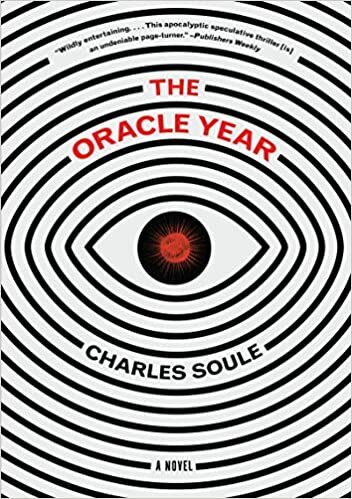 Protecting his anonymity by calling himself the Oracle, he sets up a heavily guarded Web site with the help of his friend Hamza to selectively announce his revelations. In no time, global corporations are offering him millions for exclusive access, eager to profit from his prophecies. He’s also making a lot of high-powered enemies, from the President of the United States and a nationally prominent televangelist to a warlord with a nuclear missile and an assassin grandmother. Legions of cyber spies are unleashed to hack the Site—as it’s come to be called—and the best manhunters money can buy are deployed not only to unmask the Oracle but to take him out of the game entirely. With only a handful of people he can trust—including a beautiful journalist—it’s all Will can do to simply survive, elude exposure, and protect those he loves long enough to use his knowledge to save the world. Ellie Mack was the perfect daughter. She was fifteen, the youngest of three. She was beloved by her parents, friends, and teachers. She and her boyfriend made a teenaged golden couple. She was days away from an idyllic post-exams summer vacation, with her whole life ahead of her. And then she was gone. Now, her mother Laurel Mack is trying to put her life back together. It’s been ten years since her daughter disappeared, seven years since her marriage ended, and only months since the last clue in Ellie’s case was unearthed. So when she meets an unexpectedly charming man in a café, no one is more surprised than Laurel at how quickly their flirtation develops into something deeper. Before she knows it, she’s meeting Floyd’s daughters—and his youngest, Poppy, takes Laurel’s breath away. Because looking at Poppy is like looking at Ellie. And now, the unanswered questions she’s tried so hard to put to rest begin to haunt Laurel anew. Where did Ellie go? Did she really run away from home, as the police have long suspected, or was there a more sinister reason for her disappearance? Who is Floyd, really? And why does his daughter remind Laurel so viscerally of her own missing girl? In the house of Helios, god of the sun and mightiest of the Titans, a daughter is born. But Circe is a strange child–not powerful, like her father, nor viciously alluring like her mother. Turning to the world of mortals for companionship, she discovers that she does possess power–the power of witchcraft, which can transform rivals into monsters and menace the gods themselves. Threatened, Zeus banishes her to a deserted island, where she hones her occult craft, tames wild beasts and crosses paths with many of the most famous figures in all of mythology, including the Minotaur, Daedalus and his doomed son Icarus, the murderous Medea, and, of course, wily Odysseus. 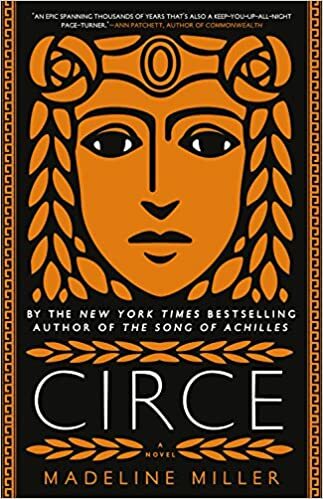 But there is danger, too, for a woman who stands alone, and Circe unwittingly draws the wrath of both men and gods, ultimately finding herself pitted against one of the most terrifying and vengeful of the Olympians. To protect what she loves most, Circe must summon all her strength and choose, once and for all, whether she belongs with the gods she is born from, or the mortals she has come to love. I picked Circe for my book this month. Super excited about it.